FIRST® LEGO® League (FLL®), the little brother of the FIRST Robotics Competition, is the result of a partnership between FIRST and the LEGO Group. FLL extends the FIRST concept of inspiring and celebrating science and technology to children aged 9 through 14, using real-world context and hands-on experimentation. In 2015, over 233,000 children worldwide participated! With the help of LEGO MINDSTORMS® NXT or EV3 technology, young participants can build a robot and compete in a friendly, FIRST-style robotics event specifically designed for their age group. 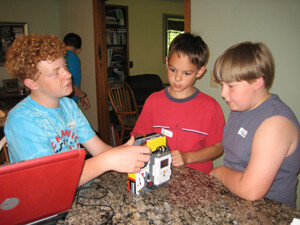 Using LEGO bricks and other elements such as sensors, motors, and gears, teams gain hands-on experience in engineering and computer programming principles. 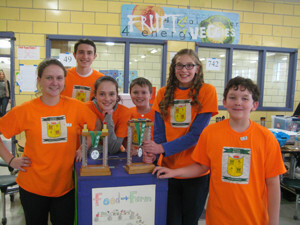 FLL teams have three months to build and program a robot that successfully completes a series of missions for points. But FLL is about much more than the robot. Teams also research a topic related to the year’s challenge and present what they’ve learned at local and state tournaments. Teams can win awards for the Project (the research topic), the Robot Game (both performance and design), and the Core Values exhibited throughout. The team that does the best in all of these categories combined wins the coveted Champion’s Award! 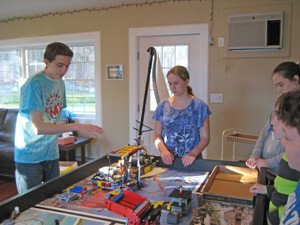 We also support the FIRST LEGO League by volunteering at the NH FLL Championship Event. Since 2005, our team has been assisting the sponsors BAE Systems by volunteering as referees, judges, field crew, and many other roles. 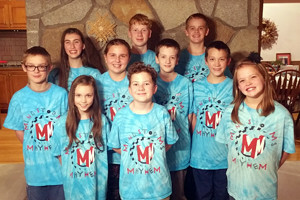 In 2006 and 2007, members of our team spent months creating the official stop-motion animation videos used to explain the FLL challenges Nano Quest and Power Puzzle, which were shown at all FLL tournaments worldwide!